Our Chainlink Monogrammed Bag Tag will add personal flair to any bag or luggage. 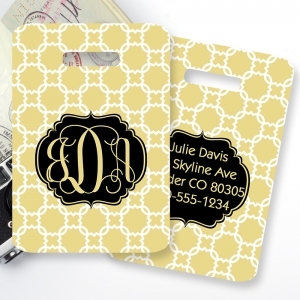 Tags can be personalized with your choice of color, pattern, style ( the area behind your name or initials), name or intials. Easily identify your bag with your own personalized bag tag.